First time visit to the preserved railway from Cheltenham Race Course to Laverton on 9 September 2017 saw mixture of steam and former BR diesel hauled services in use. 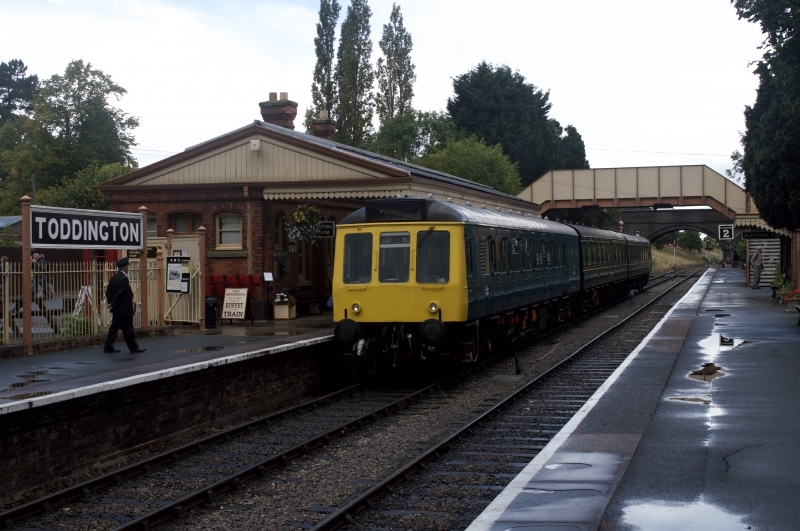 In addition a DMU shuttle from Winchcombe to the current end of passenger operations at Laverton is worked by a class 117 DMU. Seen here during working the 14:37 Laverton to Winchcombe at Toddington is class 117s with 51360 closest to the camera, trailer 59510 and 51405 furthest away.